In 1969 I was still taking the scenic route through college at an urban university in Richmond, Virginia. The university was known for its radical hippie population. The Fifth Dimension had just released its award-winning gold record, “Age of Aquarius.” Its popularity was due to more than the upbeat melodic voices. The chorus, “This is the dawning of the Age of Aquarius” symbolized part of a growing movement in the culture which rebelled against cultural traditions (which was termed “the establishment”). Since the culture’s establishment religion was Christianity, this growing segment saw alternative forms of “spirituality” as not only acceptable but preferable. This movement came to be known as the New Age Movement (NAM). Even though I was not a Christian and didn’t under­ stand worldviews, I instinctively recognized the NAM’s conflict with traditional values, and the irrationality of these new “spiritualities.” Yet, with the vacuum created by the retreat of the Church from theology, apologetics and engagement with culture, the New Age Movement in all its manifestations seduced millions. After becoming a Christian, evangelism and apologetics became an important part of my life. And because of the permeating effect of the NAM, I began to encounter people holding these views, and I noticed that they were seeking acceptance for their philoso­ phies and practices in our cultural institutions (e.g., education, business, medicine, psychology, art, entertainment, politics, sports, and even into churches). And it was not just non-Christians who bought into these flawed and reprobate beliefs. Too often Christians are seduced by some of the more subtle and disguised expressions of the NAM . Scripture warns us to “see to it that no one takes you captive through philosophy and empty deception, according to the traditions of men, according to the elementary principles of the world rather than according to Christ” (Col. 2:8). Too many Christians are vulnerable to deception because of their neglect of Bible study, sound doctrine, apologetics and worldview knowledge. As the writer of Hebrews admonishes us, one problem is that many Christians have not been weaned from the milk of their infancy to digest the solid food that “is for the mature, who because of practice have their senses trained to discern good and evil” (read Heb. 5:12-14). This is why we are addressing the NAM in this issue of Areopagus Journal­ to equip our readers to redemptively engage people and movements in our culture, and to give discernment for the protection of the Body of Christ. “New Age Movement” is a general term for a rather large and diverse body of spiritual philosophies and practices, though it is important to know that many in the movement no longer prefer or use the term “New Age” because of its well deserved negative image. Instead one hears terms like “Eastern Mysticism,” “Higher Consciousness Movement,” “Neo-paganism,” and even the “Human Potential Movement.” By what­ ever name, it is a synthesis in varying degrees of Hinduism, Buddhism, Gnosticism, the occult, Western materialism and narcissism. More simply, one could say that it is a marriage of Western materialism and hedonism with Eastern mysticism. It is alien and hostile to the Judea-Christian worldview. At its core, it is a non-Christian way of understanding the nature of man, the material and immaterial universe, God, reality, and human living, in all their intrinsic relationships. The basic postulate of the New Age Movement is that reality consists of ultimately only one essence (monism). This essence or being has various names, depending on which group one asks: God, god consciousness (pantheism), Higher Self, Enlightenment, Brahman (Hinduism), Nirvana (Buddhism), and even “Christ Consciousness.” This being tends to be defined as an impersonal energy or force. Distinctions between matter and spirit, God and man, male and female, creator and creation, good and evil, finite and infinite, are all illusions (maya). For the New Ager, spiritual progress is achieved by gaining access to the hidden knowledge (Gnosticism) that we are God, and that we create our own reality, our own truth. The origin of the particular expression, “New Age Movement,” is derived from concepts within astrology. Astrologers believe there are twelve astrological ages based on certain alignments of the Earth’s “vernal equinox” as it moves through constellations (clusters of stars with imagined shapes). These are the signs of the zodiac. It is believed that these astrological ages have an evolutionary effect on mankind. As the Earth’s moon affects gravity and the tides, so does the cosmic energy of the constellations’ alignment supposedly affect man’s nature, personality, choices, and actions. Astrologers (and many new agers believe in astrology) believe we are moving out of the Age of Pisces and are at the dawn of the Age of Aquarius. They believe this new age will bring in universal harmony, a oneness of the divine with creation. There are hundreds of variations and dimensions of this movement. Astrology, Goddess worship, Eastern Mysticism, Hinduism, Buddhism, Taoism, Hare Krishna, Transcendental Mediation, Contemplative (Centering) Prayer, Qi Gong, Yoga, Tai Chi, Feng Shui, Wicca, Christian Science, Unity School of Christianity, Kabala, and many more. Some key leaders/gurus include DeePak Chopra, Shirley MacLaine, Oprah Winfrey, Jack Canfield (Chicken Soup book series), M. Scott Peck, Joseph Campbell, John Edwards, Neale Donald Walsch, Madeline L’Engle, James Van Praagh, Suze Orman, Jean Houston Marianne Williamson, and others. Moreover, there is the extremely popular field of “alternative” or “complementary” medicine. This includes “energy medicine,” therapeutic touch, reiki, homeopathy, acupuncture, some herbology, reflexology, applied kinesiology, iridology, aroma therapy, color therapy, and more. These alternative medical practices are having such an impact in our culture that we are devoting our entire next issue to it. There was a time in Western culture when belief or practice in these kinds of things was relegated to a lunatic fringe. But with the cultural retreat of the Church and the resulting growth of postmodern relativism, a greenhouse for new age thinking has arisen. According to Barna and Harris Poll research, today some 35% of Americans believe we can communicate with the dead. 20% believe in a new age concept of God. 21% believe in reincarnation (25% more are “not sure”). Only 57% don’t believe astrology is scientific. Celebrity worship, the influence of the media, man’s basic narcissist, hedonistic nature, and the dominance of relativism in our culture have all contributed to the growth of new age spirituality. In fact, the NAM has infiltrated many aspects of Western culture. I will survey a few examples in what follows. In 1979 the U.S. Third District Court of Appeals, affirmed an earlier decision by the district court that declared that Transcendental Meditation was religious in nature and therefore was prohibited from use in public schools. It is a violation of the Establishment Clause of the First Amendment of the Constitution (Separation of Church and State). Many forms of new age thought and practice were being used in public schools. Courses were utilizing meditation techniques, centering, progressive relaxation, guided imagery, visualization, and contacting spirit guides (often called the child’s “higher self “). Proponents of these new age techniques and philosophy often attempted to sidestep the identification of being a “religion” and identify with “spirituality” to escape resistance from dogmatism or legal instructions. In the judge’s opinion, he wrote of the clear need for the courts to broaden the traditional theistic definitions of religion. For example, to say that yoga is not religious is like proponents of prayer in public schools saying that prayer should be offered in public schools because it is not a religion. The quest for the competitive edge in many businesses is thought by some to be connected to increasing employees’ “human potential.” So businesses have been quite a mission field for new age programs and leaders. They connect human potential and achievement to new age philosophy and practice. Programs like Landmark/Forum, Heart Math, MSIA, Tony Robbins, and others are offered to employees. Often, participation in these programs is mandatory. Robbins employs a controversial new age, humanistic methodology called neuro-linguistic programming (NLP) which promises that, by modeling and the power of positive thinking, human potential is unlimited for everyone. Robbins dramatically “proves” his point with fire-walking exercises in which seminar participants demonstrate the power of overcoming fear and mind-over-matter by walking barefoot over a bed of hot coals. Robbins’ approach is problematic on a number of levels. His promises are more new age than biblical (in his books he often twists Scripture to support his beliefs), the NLP can be very manipulative and unethical (mind control) and even “fire walking” is deceptive since there is nothing supernatural about it. Hot coals are slow enough conductors of heat that anyone can walk quickly across them without being burned. Notice Robbins doesn’t stand on the coals for more than a few seconds. Another leading light is Stephen Covey. Covey is a Mormon who also uses a number of new age perspectives in his human potential programs and books. All truth being God’s truth, Covey does apply some biblical principles, but he mingles them with Mormon and new age ones. Because Mormonism teaches that we can become Gods (like their once-human God did), there is an affinity with the NAM. Covey promotes numerous New Age techniques in his works, the most famous of which is Seven Habits of Highly Effective People. As mentioned earlier, one of the most prolific areas of new age permeation is in the field of alternative “medicine” (sometimes called holistic or complimentary medicine). Americans are preoccupied with health and personal fitness. And some are unsatisfied with conventional medicine, especially with the rising cost of health care. New age therapies or products offer low cost, non invasive (except acupuncture), “natural,” approaches to health rather than the conventional route of drugs or surgery. And since many “illnesses” are psychosomatic, the anecdotal success of new age therapies gains them some credibility. Again, this issue is so serious and complex that ARC is devoting our next issue of Areopagus Journal to it. Oprah Winfrey was ranked by a Gallup poll a few years ago as the #4 most influential woman in history. Oprah’s positive self-esteem and sensitive, relevant style, taps into the psyche of many woman and some men in America. She was raised in a black Baptist Church in Mississippi, a deacon’s daughter, was sexually abused by male relatives, became a promiscuous teenager, and gave birth to a baby boy out of wedlock who died in infancy. But then “repenting” returned to the church in Nashville and began to speak frequently in Nashville Churches with a special emphasis on practical spirituality. When her television career began taking off, Oprah frequently featured a spiritual dimension (calling her show “my ministry”). She gradually began to promote more and more new age guests, and the viewer could see her own changing understanding of Christianity. For example, she frequently has New Age guests such as Marianne Williamson, Deepak Chopra, Betty Eadie, Dannion Brinkley, M. Scott Peck, Sophie Burnham, Marilyn Ferguson, Shirley MacLaine, Kevin Ryerson, Sara Breathnach, James Van Praagh, Gary Zukar, and Iyania Vanzant. Because of the popular respect for Oprah, her endorsements of new age guests make a cultural difference. For example, when she announced she had purchased 1,000 copies of her Marianne Williamson’s book, Return to Love (a new age version of the Bible), the publisher received over 200, 000 orders by the end of the day. Deepak Chopra’s book sold 130,000 copies the day Oprah promoted it on her show. Another revealing example of the penetration and seductive influence of the NAM is the success of the Chicken Soup book series by Jack Canfield & Mark Victor Hansen. Canfield has a long history as a leader in the infiltration of new age teaching programs in public schools. He too conducts self-esteem seminars. Canfield and Hansen are only editors of the series and have only had a few of their own new age stories in the books. However, their choice of contributors is telling. The original feel-good book contained articles by at least 25 new agers, one Mormon, and seven self esteem gurus. This trend continued on the subsequent volumes. Unfortunately, marketing and profit again takes the lead over discernment and responsibility in Christian media. Spring Arbor, the major Christian book distributor, has continued to carry these books for years. Canfield, a good marketer, even produced a Chicken Soup for the Christian Soul where a number of Christian authors naively or irresponsibly contributed stories­ lending credibility to the whole series. So, after reading these the few examples, you can begin to understand that the NAM is diverse and diffused. In a culture that is becoming more and more pluralistic, frivolous and narcissistic, it becomes a greenhouse for the growth of these new age philosophies. And, because of the lack of doctrinal knowledge, apologetics and world- view training, the lines of truth are tragically blurred and discernment weakened even in the Body of Christ. One doesn’t have to look far for the signs. Barna’s recent research update (May 1, 2006) that “Harry Potter’s influence goes unchallenged in most homes & Churches,” points out that 78% of church-going teens have read and seen the movie/book series, but only 4% have experienced any teaching or discussion in church about the occult spiritual themes embedded in this attractive medium. When Paul warns the Church to be aware and beware of Satan’s deceptions, he goes as far as to say that Satan “disguises himself as an angel of light” and “his servants also disguise themselves as servants of righteousness” (2 Cor. 11:3, 14-15). Satan often will take some truth, a somewhat healthy teaching or practice, and mix his poison in it. Then it becomes more dangerous because of its attractiveness. We live in a culture of busyness, consumerism, superficiality, distractions, and an insatiable quest for more to make us happy. And too often the prayer or devotional life of Christians become mostly a perfunctory, formalistic, rationalistic exercise. This creates a context for the growing popularity of practices like “Centering” of the Contemplative Prayer Movement and praying through the Labyrinth. These approaches, developed and popularized by Roman Catholic monks, Thomas Merton, Thomas Keating and Basil Pennington incorporate eastern meditation and a new age universalism in their “contemplative” approach. 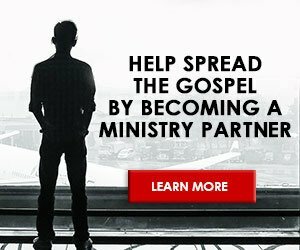 Segments of the controversial “Emerging Church Movement,” literal churches, and even conservative but controversial churches like the International House of Prayer in Kansas City, MO promote these techniques. As you will learn, there is nothing “new” about this movement. It has its roots in the original fall of man in Genesis 3. Satan tempted man with the lie that if he stepped out to access the secret knowledge or wisdom (Gnosticism), his eyes would be opened (enlightenment) and he wouldn’t need to submit to the sovereign God anymore for he will be as God himself (Gen. 3:1-5). One result of the Fall is that man, not being able to escape being made in the image of God, invents counterfeit spiritualities. Thus, early on God explicitly condemned some of the current practices of the NAM (Deut. 18:9-14; Lev. 19:26,31; Jer. 27:9-11). As Christianity began to spread in the West, the culture began to reflect in varying degrees Judea-Christian concepts of reality, and ancient Gnosticism was no match. But in recent times the Church has, by and large, lost its moorings and its primary calling to be contagious and not innocuous. The result is a cultural return towards man’s basic sinful natural state of rebel­ lion toward God’s authority and a bankrupt philosophy of relativism and pluralism. Read and study through the articles in this issue of Areopagus Journal. Go farther by ordering the books we recommend. Order information packets on specific topics you need in order to have more in-depth knowledge. Also, go back and read our past journals that cover some aspects the NAM not found here such as our issue on yoga, or the issue, “Who Do Men Say That I Am?” which contains an article about the New Age Jesus. Additionally, our journal, “They Became Fools,” significantly clarifies the underlying nature of cults and other religions. And make sure you have “Do We Have the Right Books?” our issue on biblical canonicity, which responds to the lost Gnostic books made popular by Dan Brown’s The DaVinci Code. “See to it that no one takes you captive through philosophy and empty deception …rather than according to Christ” and “Always be ready to give a defense to any­ one who asks, yet with gentleness and respect” (Colossians 2:8; 1 Peter 3:15). 2 “Religion in the Workplace,” Business Week (Nov. 1999): 52. 3 See “Main programs conflicting with employees Religious Beliefs” (EEOC regulation under the Civil rights Act of 1964-Title VII).